Kemp’s Ridley (Lepidochelys kempii) sea turtle is a close relative to the Olive Ridley, but unlike the latter, whose population is stable, the Kemp’s Ridley is the most endangered of all the sea turtles. Similar to the Olive Ridley, this species nests in arribadas where females come onto shore as large groups at once. A recording of this event in 1947 showed an estimated 40,000 females participating in a singe arribada event. In the 1980’s this number was down to only 700 nests, but thanks to conservation efforts numbers are back around 7,000. Listed as Critically Endangered by the IUCN Red List, population sizes for this turtle have decreased more than 90% over the past few decades. 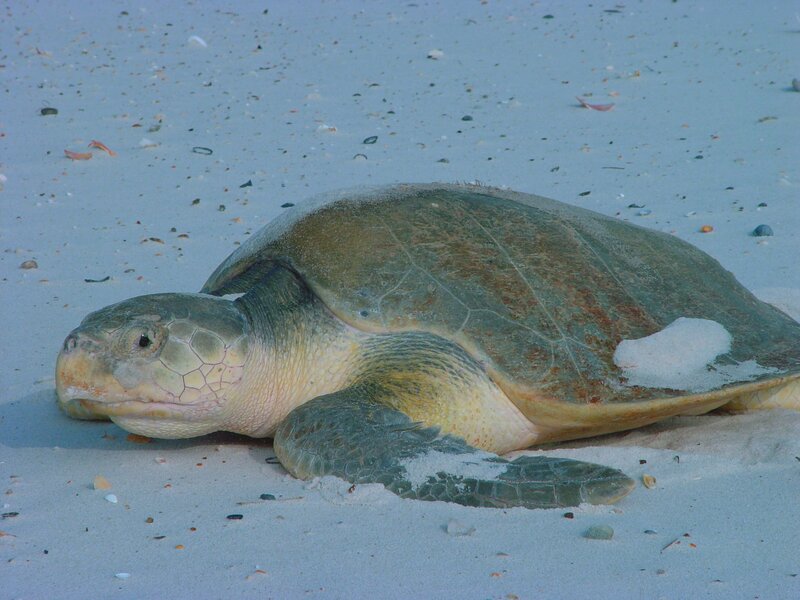 The Kemp’s Ridley is usually found in shore waters in the Gulf of Mexico. The arridaba event that occurs yearly in Tamaulipas, Mexico is said to comprise over 95% of the entire breeding population. While population levels are still low, current indicators may be hinting at the start of recovery for this species. Common threats are poaching and habitat loss. In addition, living in the Gulf of Mexico puts increased pressure on these sea turtles, as bycatch and pollution are a major issue in those waters.